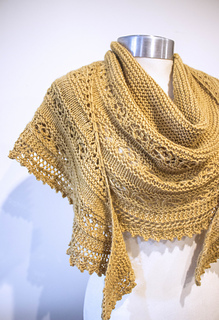 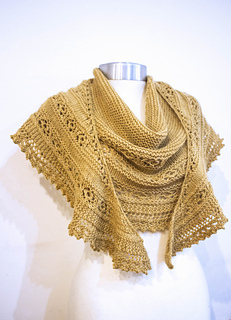 A large, warm shawl knit in DK weight lambswool yarn. 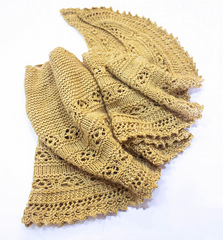 The body of the shawl is completed first, starting with 3 sts and increasing to 309 sts. 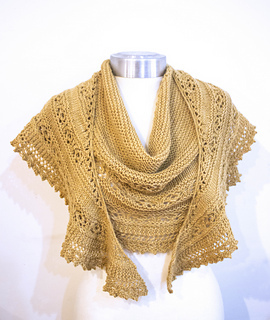 Next, the lace edging is knit on from side-to-side, no need for sewing!